Monday July 2, 2018: John hands over dirt on Leo, Abigail’s on a mission to learn who’s the father of her baby, and a meeting between Kate and Stefan causes suspicion. Abby appears distracted over a meal at Mandalay, as Chad talks about Thomas. When Chad steps away to take a call, Abby calls Gabi, who’s standing outside the DiMera mansion. Gabi’s there to get Stefan’s DNA and urges her to get Chad’s. Abby wonders if Gabi really wants to help, due to how she treated her. Gabi flashes to Abby apologizing to her in the hospital then says, “You weren’t in your right mind.” Abby promises to help Gabi make things right with Ari and says, “You’re an amazing friend, Gabi.” Chad reappears and wonders what Gabi’s helping her with. Abby hangs up and flashes to Gabi urging her to stay quiet until the paternity test. Abby takes Chad’s hand and recounts how lucky she is that Gabi’s giving her another chance. Chad assures Abby they too will get back to where they once were. He admits to being stressed about Sonny’s lawsuit, but Abby calms him and urges him to eat. He takes a few bites. When Chad steps away on another call, Abby puts his fork in a plastic bag. Chad soon returns, stressed even more, and flashes to his conversation with Kate about the orchestrated lawsuit. Abby says there’s nothing he can do to make this lawsuit go away. “Actually there is,” Chad replies. “It isn’t real.” Chad backtracks and just wants to finish his food. He looks around but can’t find his fork. Abby hands over her fork and expresses having errands to run. She kisses Chad goodbye and leaves. In the park, Abby takes out the plastic bag and looks at the fork. At the DiMera mansion, Kate tells Stefan the plan has changed. She’s no longer working with Leo, but Stefan refuses to let her stop now. Kate vows to never help Stefan hurt Chad. Stefan warns that everyone will believe Chad conspired with her and Leo in order to get the job at Titan. He thinks he can beat Chad fair and square, especially with his backup plan – Kate. From outside the living room, Gabi listens as Stefan continues to issue threats. Kate storms out, sees Gabi in the foyer and wonders what she’s doing there. Gabi questions the same thing about Kate, who claims she was trying to get her job back. Kate leaves, and once outside, leaves a message for Leo to call her. Back inside, Gabi peeks into the living room, sees Stefan on the phone, then sneaks upstairs. She reappears with what looks like Stefan’s toothbrush in a plastic bag. Gabi shoves it in her purse and heads down the stairs. Stefan appears and wonders what she’s doing there. She needed Stefan to sign off on some business and didn’t see him downstairs. Stefan’s suspicious but Gabi stands her ground then storms out. Outside, Gabi takes a call from Abby and agrees to meet at the lab with Stefan’s DNA. Stefan emerges from the mansion and follows Gabi. Kate finds Chad at Mandalay. 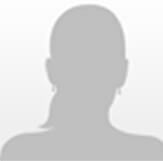 He feels guilty about hurting his best friend and keeping secrets from Sonny and his wife. Paul and Will meet John at the pub. John hands over dirt on Leo, whose real name is Matthew Cooper. He’s a former prostitute with an arrest record. John believes Leo had an accomplice in setting up the sexual harassment lawsuit. Will wants to show Sonny the files. John offers to testify and Will thanks him. He kisses Paul, they express their love, then Will leaves. John’s happy for Paul, who fills him in on his relationship with Will – and how Paul triggered a memory for Will. Paul tells John he helped Will remember his love for Sonny but doesn’t feel as though it’s changed anything for him and Will. John’s proud of Paul. At the Kiriakis mansion, Leo offers to drop the lawsuit if Sonny marries him today. Though Leo insists he doesn’t want to be a bad guy anymore, and claims he wants him, Sonny hates Leo. 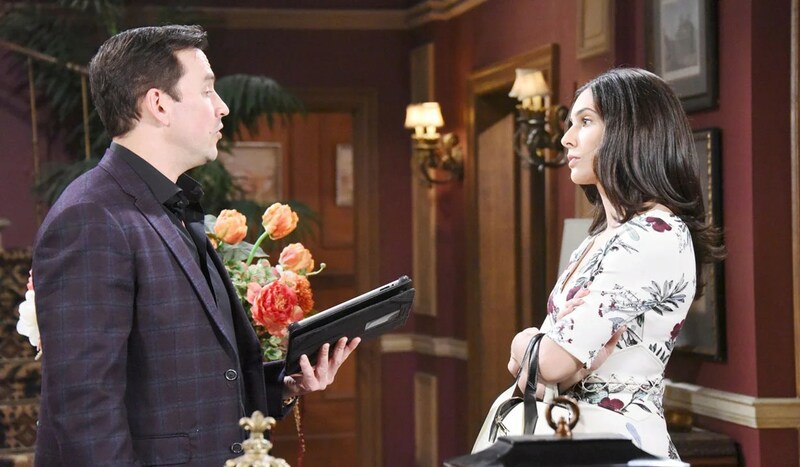 Sonny snaps when Leo manipulatively brings up Ari and Victor’s health, but Leo insists it’s simple – if he marries him he can save his family and his company. Feeling backed into a corner, Sonny agrees to marry him. Will appears and asks, “You’re going to marry this loser?” Leo informs they’re getting married now and dismisses Will. Though Sonny begs Will to stay out of this, Will whips out the file, hands it to Sonny and calls Leo ‘Matthew’, the prostitute. Sonny wants nothing to do with Leo. Will orders Leo to leave and threatens to throw him out. Leo seethes, “You ruined everything,” then attacks Will. 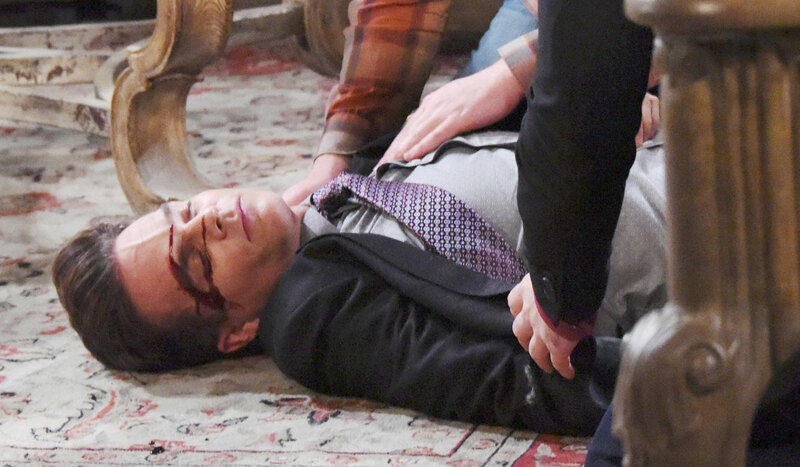 As Leo strangles Will, Sonny manages to pull him off. Leo slams into the fireplace and falls unconscious. 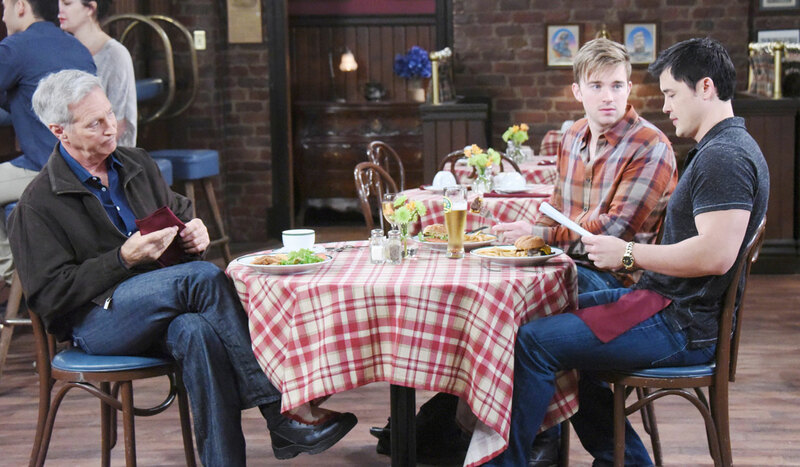 Will and Sonny take Leo’s pulse and look horrified. Kayla confides in Marlena regarding her arrangement with Stefan.